At Nairoc Sdn. Bhd., our goal is to provide exceptional quality, value and service to our clients who are dealing with Countertops, Worktops and Vanity Tops for Kitchen and Bathrooms. 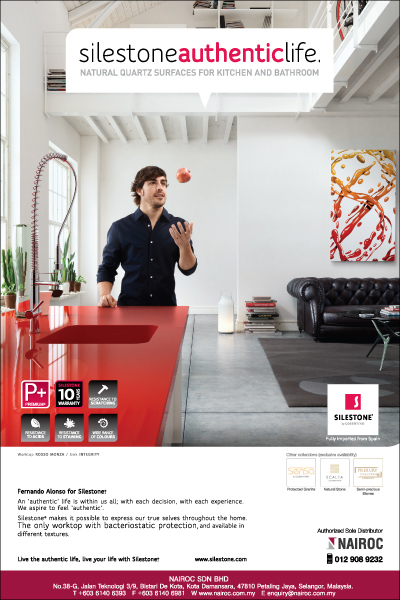 We are also a Authorized Distributor of DuPont CORIAN 100% Acrylic solid surface and DuPont Montelli modifies Polyester solid surface. We supply and install for both Quartz and Solid Surface for both dealers and projects/developers.